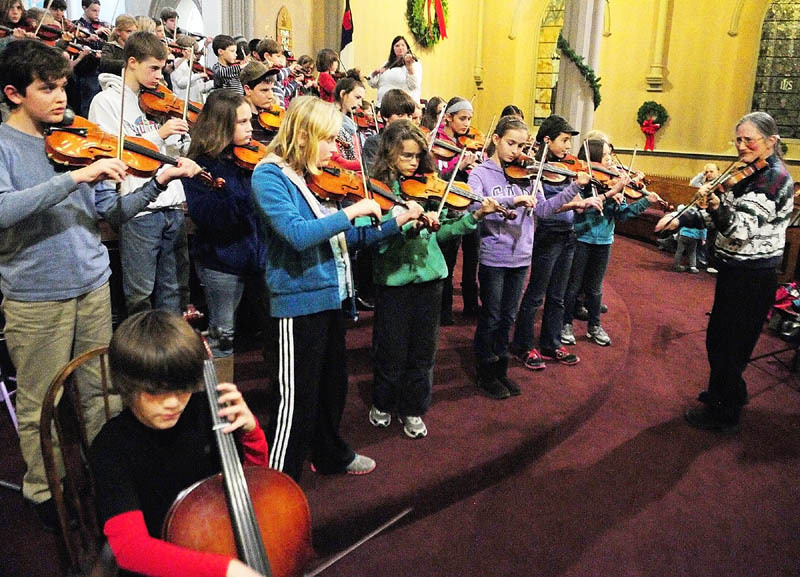 AUGUSTA — When Betsy Kobayashi raises the bow of her violin straight up high, some 50 young string musicians follow suit, pointing to the high vaulted ceiling of South Parish Congregational Church and giving her their absolute attention. With an emphatic downstroke, Kobayashi launches the violin, viola and cello players into the first notes of “Minuet No. 3” by Johann Sebastian Bach. The sound is startlingly powerful yet sweet, filling the sanctuary of the church. None of the boys and girls has any sheet music in front of them. This is a rehearsal of the Pineland Suzuki School for two benefit concerts at 2 p.m. on Saturday, Dec. 8, in Oakland and 2 p.m. Sunday, Dec. 9, in Augusta. About 100 young musicians, most of them violinists, will perform. The Oakland concert will be at the Duke Albanese Performing Arts Center at Messalonskee High School. The Augusta concert will be at South Parish Congregational Church, off State Street. The Oakland concert will raise money for scholarships to Pineland Suzuki School, while the Augusta concert will raise money for Bread of Life Ministries, which operates a soup kitchen, a homeless shelter and transitional housing in Augusta. After the concerts, there will be a silent auction, chamber music and refreshments. The Pineland Suzuki School for students age 3 to 18 was founded in Augusta by Kobayashi and Ellen Gawler, based on the principles of Sinishi Suzuki, in 1994. Kobayashi said she started teaching music in Buffalo, N.Y. Then she studied for two years with Sinishi Suzuki in Japan where she met her husband, Naoto Kobayashi. She stayed five more years in Japan before moving to Maine. Pineland Suzuki students take private lessons that cost from $30 to $50 per hour and group classes that cost from $245 to $370 per year. They can rent or buy their instruments. “We try to make this available for everybody,” said Kobayashi. “With the economy the way it is, we have many more people who need scholarships,” she said. Pineland Suzuki has students who come from as far away as Orono and Portland, though most are from the Augusta area. In a letter to benefit concert-goers, Kobayashi writes of Suzuki students, “They learn discipline, responsibility and teamwork. They learn humility. They learn the confidence that comes from knowing how to solve really difficult problems. They learn that attention to details really matters. They learn that preparation really matters. The benefit concerts will include a Christmas carol sing-along and will culminate with “Lord of the Dance,” which will involve all 100 students and feature dancing and singing as well as music. Michael Warren of Augusta has a 10-year-old daughter, Georgia, who has been a Pineland Suzuki student since she was 7. In addition to the benefit concerts, a small group of Pineland Suzuki students will join with the Augusta Symphony Orchestra in presenting Handel’s “Messiah” at 7 p.m. Dec. 14 at High Street Congregational Church in Auburn and at 7 p.m. Dec. 15 at Hope Baptist Church in Manchester. 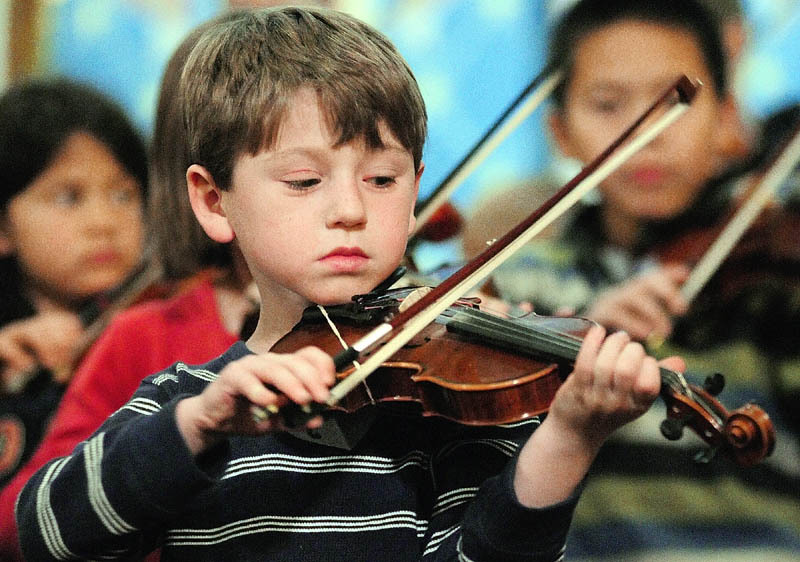 In addition, some Pineland Suzuki students will join Suzuki students from other parts of Maine and play before the Portland Symphony Orchestra’s “Magic of Christmas” concert at Merrill Auditorium in Portland on Dec. 16. Kobayashi said a group of Pineland Suzuki students will be traveling to Japan for an international Suzuki conference next spring. 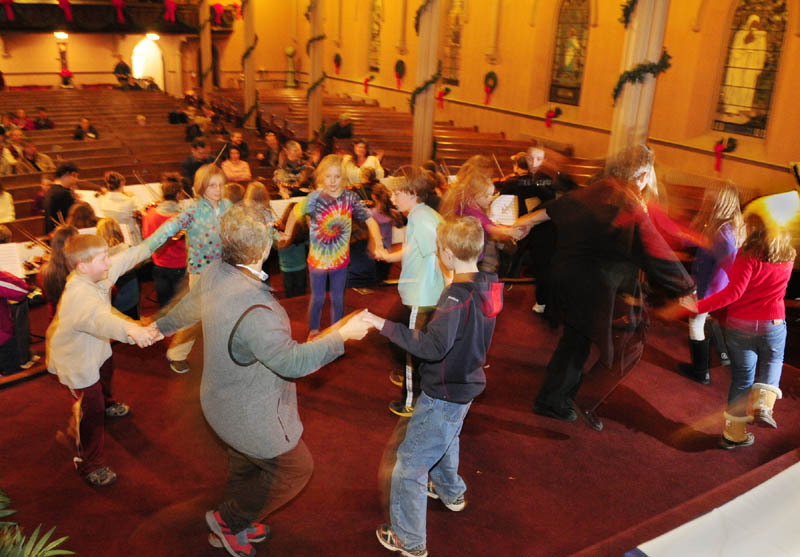 In January, Pineland’s group classes will move from their base at South Parish Congregational Church to Hope Baptist Church on U.S. Route 202 in Manchester.